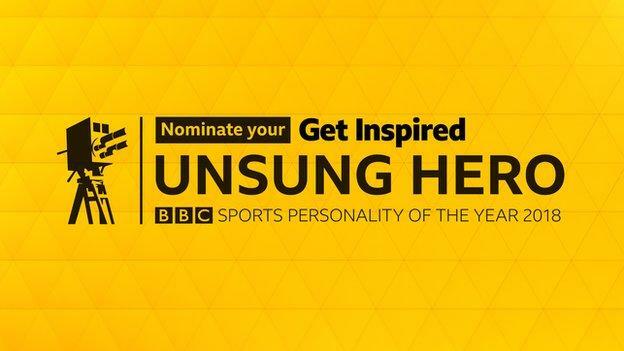 BBC Get Inspired’s Unsung Hero 2018 seeks out volunteers who are inspiring people of all ages to get up and get active. If you have your own local sporting superhero with an inspiring story to tell, don’t wait to give them the recognition they deserve – nominate them today. The BBC wants to celebrate those special individuals helping in grassroots sports and fitness activities. From volunteers who offer fitness classes in communities, to the person who spends their free time running the social media accounts for dance clubs, or that one steward who turns up every week to cheer on the runners in their 5km races. For the first time, nominations can be made via video and audio. To nominate your Unsung Hero by video, audio, online web form or via email, simply visit the website. Entries close on Sunday 21 October at midnight and the shortlist will be revealed in the days leading up to the BBC Sports Personality of the Year ceremony in December, where we’ll be saying a #BigThankYou!